Skip the smells, enjoy all the flavors. Fresh sardines are among the most sustainable seafood choices, plus they're rich in omega-3s. 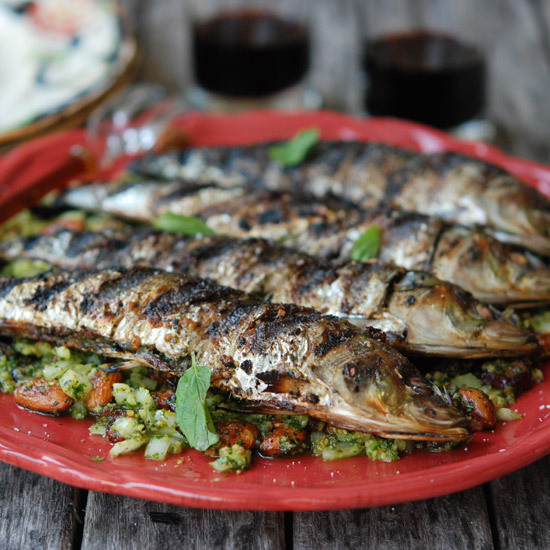 What is more, sardines are excellent for the grill. 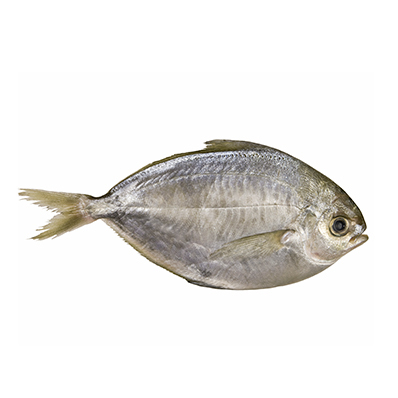 Not only will the fishy smell stay out of your kitchen, but their strong flavor stands up to a delicious char. 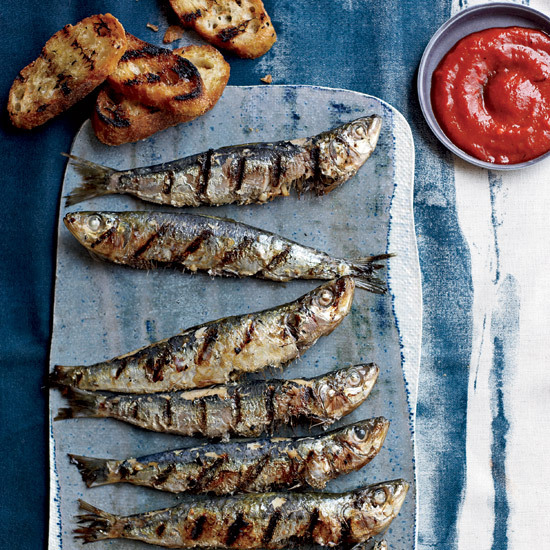 Bonus: Because they're oily, sardines are harder to overcook than delicate white fish. 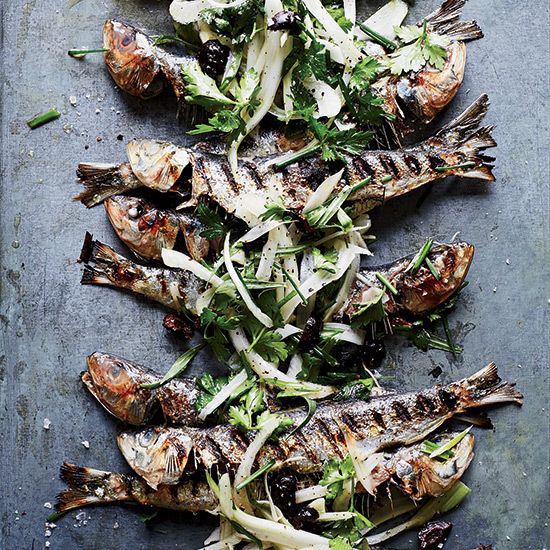 Here, five amazing grilled sardines recipes. Sweet piquillo pepper sauce is a perfect foil to the richly flavored sardines. Andrew Zimmern's terrific dish has all the complex flavors of traditional North African cuisine, yet it's surprisingly simple. 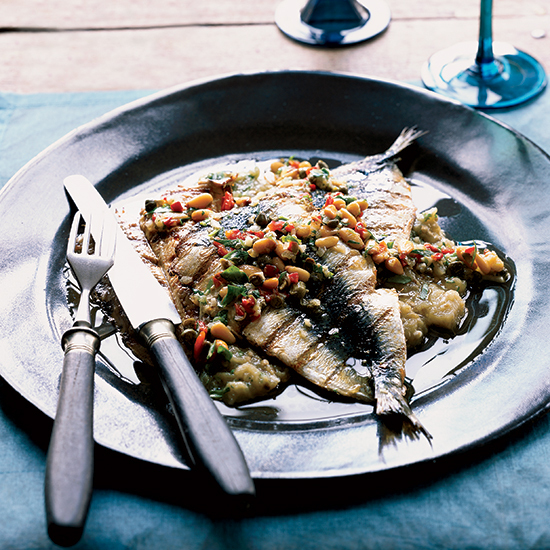 A crisp and tangy herb-and-olive salad complements the oily fish. 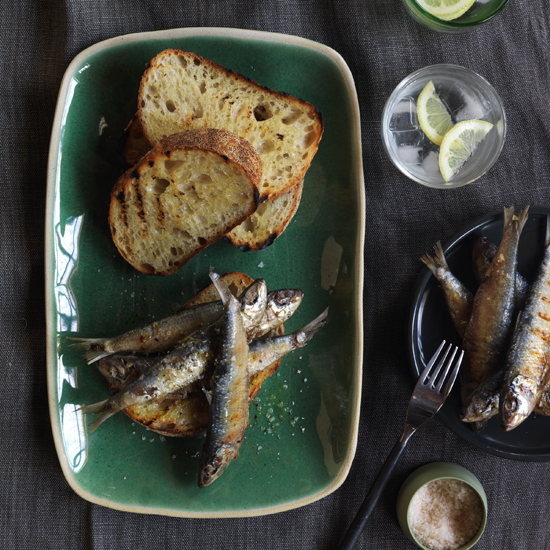 Grilled the Portuguese way with olive oil and coarse salt, these sardines are delectable. They're served on thick slices of toasted country bread that soften slightly and gain flavor as the sardine juices soak in. Chef David LeFevre adds even more character to these incredible little fish by serving them with a puckery tarragon, caper and pine nut relish.